Mariusz Boguszewski is a Chief Technology Officer at the Information Society Development Foundation (FRSI), responsible for providing hardware, software and Internet access to 3,800 libraries participating in the Library Development Program in Poland – a joint initiative of the Bill&Melinda Gates Foundation and Polish-American Freedom Foundation, implemented by FRSI. Mr Boguszewski is also a CEO at Dimpact, a company established to support FRSI. Member of the Gates Foundation Global Libraries’ Technology WorkGroup. He introduced “Get Online Week” in Poland and coordinated two editions (c. 65,000 participants until now). Currently he is coordinating the “Link to the future” project under the Microsoft YouthSpark initiative, supporting youth from small communities in planning their professional career and encouraging them to coding (c. 50,000 participants so far). 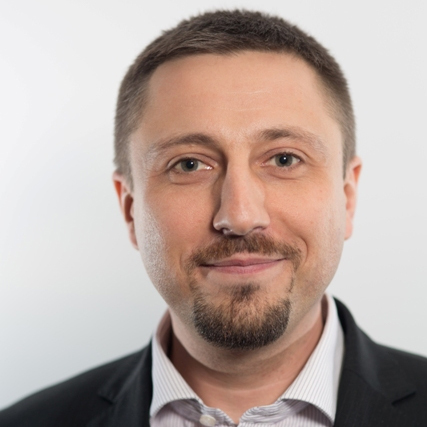 Mr Boguszwski has an IT, economic and managerial educational background, MBA; he worked for ICT companies as a manager and is a big enthusiast of ICT-based innovations that help people think outside-the-box and build more innovative and equal modern society. Married, happy father of three sons.